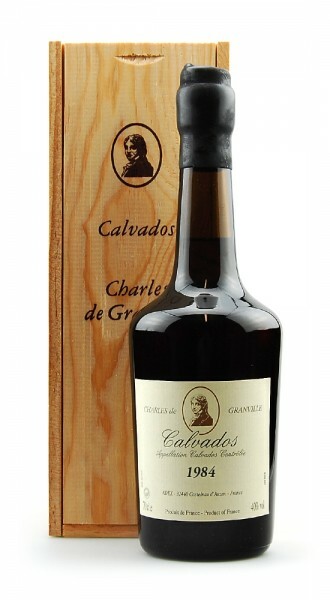 Produktinformationen "Calvados 1984 Charles de Granville"
Verkostungsnotiz Calvados Charles de Granville 1984: Lovely subtle amber colour with bright golden highlights. A rich and delicate nose reveals flavours of crystallized citrus fruits, cinnamon, light spice and subtle vanilla. Lots of finesse and elegance in the mouth where the aromas of gingerbread and caramelised apples are released. A beautiful long roasted and vanilla finish.